There’s a place in our area where you can learn how to play computer games in a rent-free, relaxed environment. That sounds a lot like my college dormitory, but it’s not. It’s the Philadelphia 76ers’ brand new Innovation Lab, a shared workspace housed inside the team’s Camden practice facility. A Tuesday ribbon-cutting ceremony served as the lab’s grand opening, a home for four startup companies that receive free office space and food, legal services, local housing, and tutelage from a businessman who once ran a company with annual revenue of 250 million dollars at its peak. THAT’S SETH BERGER, A WHARTON GRAD WHO SERVES AS THE LAB’S MANAGING DIRECTOR. HE OVERSEES THE PROGRAM AND HELPING THOSE NASCENT BUSINESSES GROW. One of Berger’s lab admissions is “U GIT GOOD,” an eSports training platform created by 26-year-olds Shinggo Lu and Alan Liang. 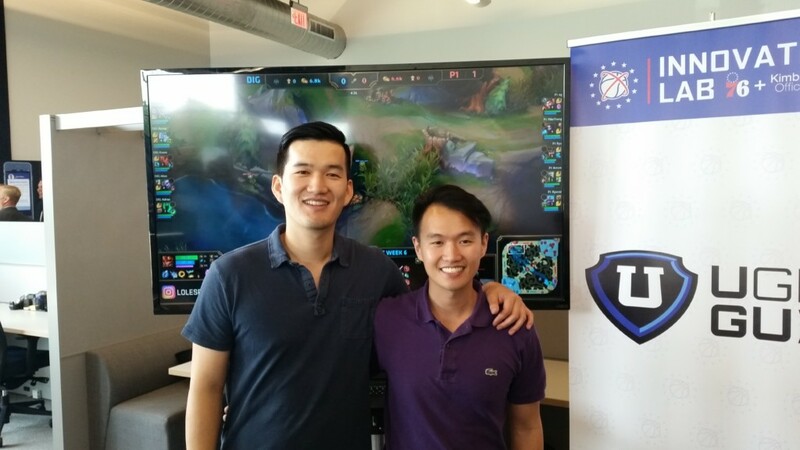 With a television monitor rolling League of Legends footage in the background, the pair explain how they use analytics and personalized data to help you improve your gaming skills. It’s sort of like the process followed by a baseball sabermetrician or an NFL scout, but the focus is video games, not traditional athletics. “We started in eSports because we were so invested in this space,” Lu told Philly Views after the ceremony. “We were working jobs in Philadelphia, but our free time and our weekends were spent in these games. We were playing them and watching them, and that’s how we would hang out with our friends. That’s where the Sixers come in, the “fill it in” part. As the first North American pro sports franchise to acquire a professional eSports team, the Sixers were a perfect partner for U GIT GOOD. It made sense for the Sixers to be an “incubator” or an “accelerator,” that modern-day business slang for a parent company that takes a smaller startup under its wing. Forbes estimates that there are more than 300 incubators in the United States, and many attach themselves to universities and other spots brimming with innovative potential. For Lu and Liang, it’s not even about the physical work space or the free stuff that comes with it. It’s about working with a franchise that understands and believes in what they’re trying to do. 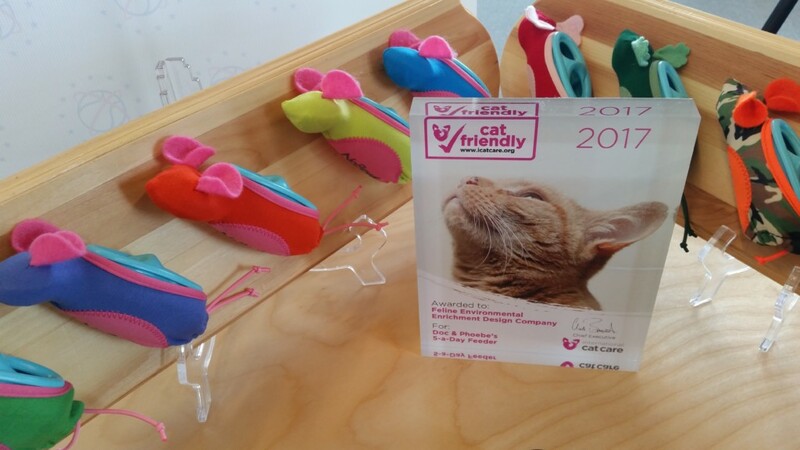 It’s a similar story for Doctor Liz Bales, a longtime veterinarian who founded Doc and Phoebe’s Cat Co., a startup that promotes more natural ways to feed your cat. Traditional bowl feeding can lead to a phenomenon called “scarf and barf,” which also reminds me of my college dorm. In this case, however, we’re talking about what happens when your cat ralphs its entire meal in an unnatural, feline-version of binging and purging. They just aren’t meant to eat large meals out of bowls. Bales’ method uses small, mouse-shaped feeders that hold smaller amounts of food and can be placed around the house, emulating a cat’s natural hunting environment. Her draw to the lab was the Sixers’ clout and connections. “For me, it’s Seth Berger,” said Bales of her interest in the project. “He understands messaging and how to communicate in such an extraordinary way. And although a cat hunting a mouse is a pretty simple concept, there’s a lot of science behind it. This affects every aspect of a cat’s life. How do you get all of that information boiled down in a way so that the average cat person can understand it? Dr. Liz Bales created a cat feeding system that uses small, mouse-like guides to emulate natural prey. The other startups accepted into the lab are Monster Roster, a daily fantasy sports “lineup recommender” created by 20-year-old Dylan Elder, who postponed pursuit of a degree from Georgetown University to focus on the project. His was the first company accepted into the lab. Another is Live Life Nice, a cause-driven digital media company focusing on positive news. It was created by Christian Crosby, the Sixers former in-game announcer who started with the team as a part-time trampoline dunker at age 18. A few years later, he’s now the CEO of his very own company. As for Berger, his claim to fame is the AND1 basketball brand, an apparel and sneaker company that he cashed out more than 10 years ago. He’s served as the CEO of various businesses ever since, constantly re-navigating the startup waters. “What we try to do for these companies is be really flexible in terms of structures and guidelines,” Berger explains. “There’s no set formula. We try to meet what they need with what we offer. “The second thing we do, which I think is unique within this space, is that it’s a very long-term relationship here. These companies can stay as long as they want and we’re involved with them on a day-to-day basis, not a week-to-week or month-to-month basis. (Ownership) has this incredible network. The benefits are obvious for these four companies, but what do the Sixers, a pro sports franchise, get out of this? Most incubation programs are sponsored by government groups, universities, and economic development organizations, which see returns in job creation and overall improvements in local business climates. There’s probably an element of altruism as well, unrelated to the possibility of also taking equity in companies that find success, or as a general requirement for startups entering a program. For the Sixers, who are funding the lab in entirety, the motive is probably a combination of all of those ideas. “It’s really in our DNA,” said Sixers CEO Scott O’Neil. “The irony is not lost on us that this is (located) in the corner of the lowest floor of the building. Clearly that foundation of how we think about business is through innovation. We like to do things differently and that’s been well-chronicled. We think very differently about the world and the world of sports. And, not for nothing, this does serve as economic growth in a city that could always use it.